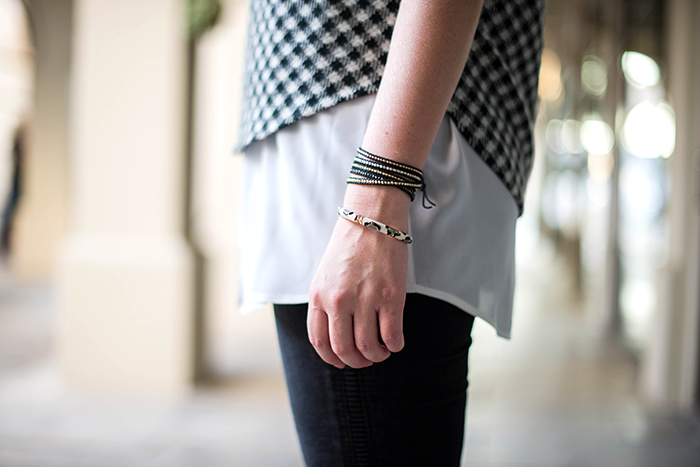 Black + white is one of the easiest color combos to put together, especially when you have so much of both in your closet like I do! 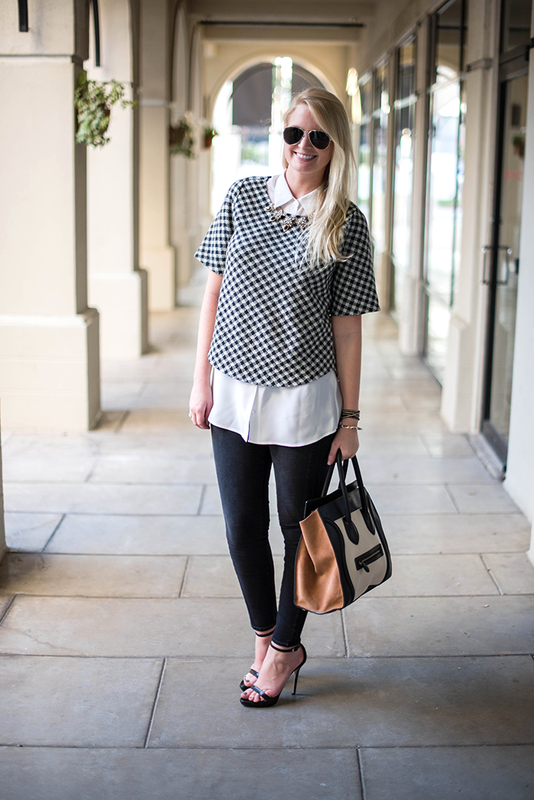 I recently received this OTTE houndstooth top which has been such a great layering piece in this weird, icky weather in Dallas lately. I’m still loving my J BRAND photo ready denim – so comfortable and they very slimming (who can say no to that)! I’m sure you saw my message about the Shopbop sale yesterday, but with Shopbop being down most of the day you probably didn’t have a chance to peruse the new arrivals! I ordered this Torn by Ronny Kobo dress – the print and silhouette remind me of some familiar Alexander McQueen pieces (which I can’t afford). This dress is the perfect day-to-night number! Love this polished look, this top is beautiful. 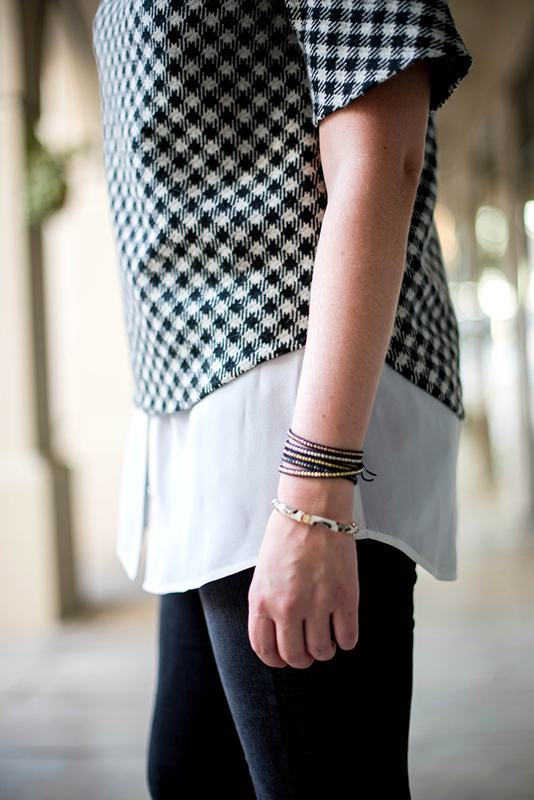 Love this top on you and how you have it layered, also adore your tri-color Celine, so pretty for Fall! 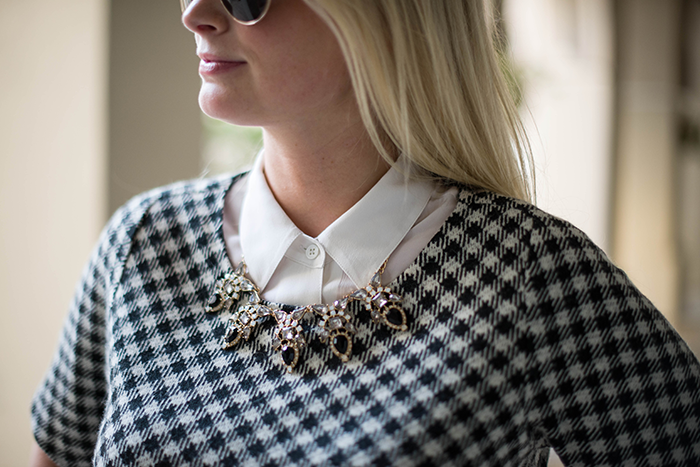 Can’t believe how perfect that necklace is for this outfit! I really need something like this in my closet! I adore everything about this! So polished and chic. 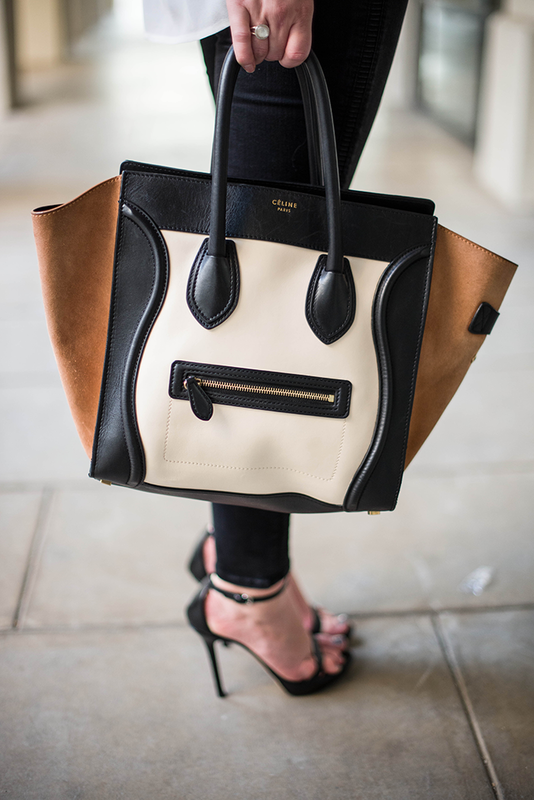 The dash of brown on the bag is perfect with black and white. This is the perfect example of layering. I really like the OTTE top. 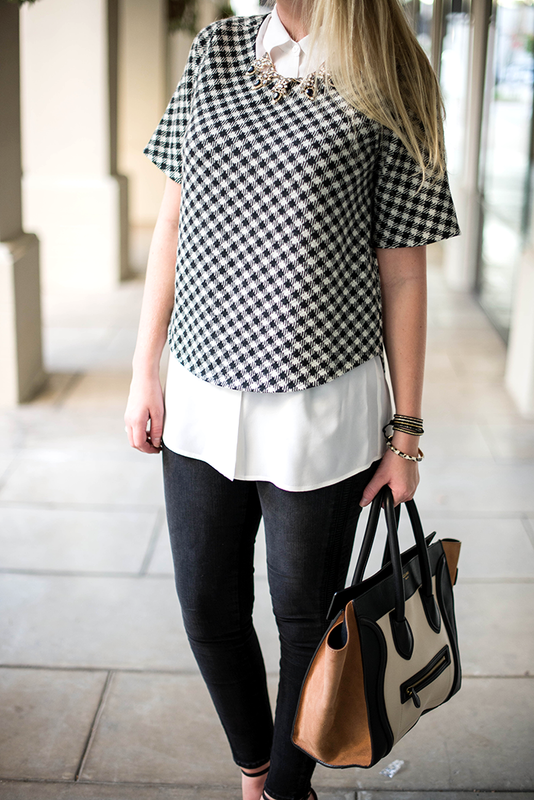 Loving the layered tops! And still sooo into the black & white look. It’s so classic and makes my life much easier! 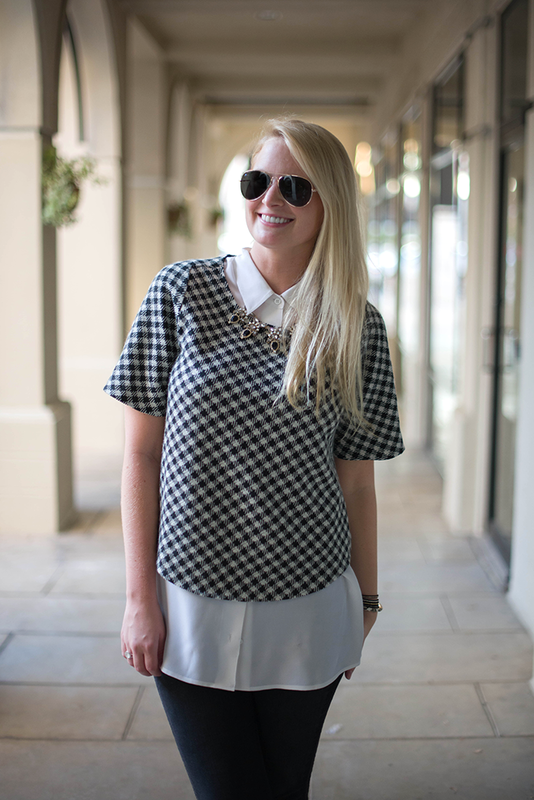 I am such a sucker for black & white and anything houndstooth! 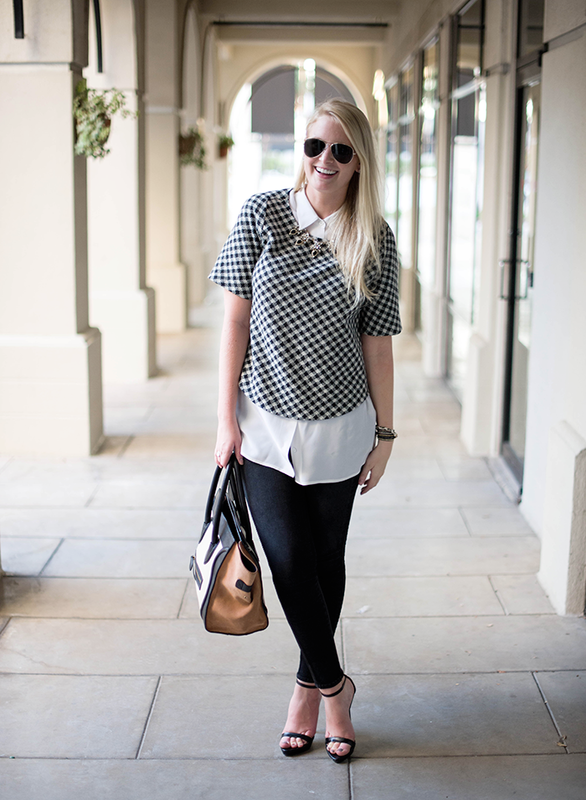 that top is amazing – so chic! I love that you layered it as well, very unexpected but it looks great! cutest outfit! that top is a keeper – for sure. 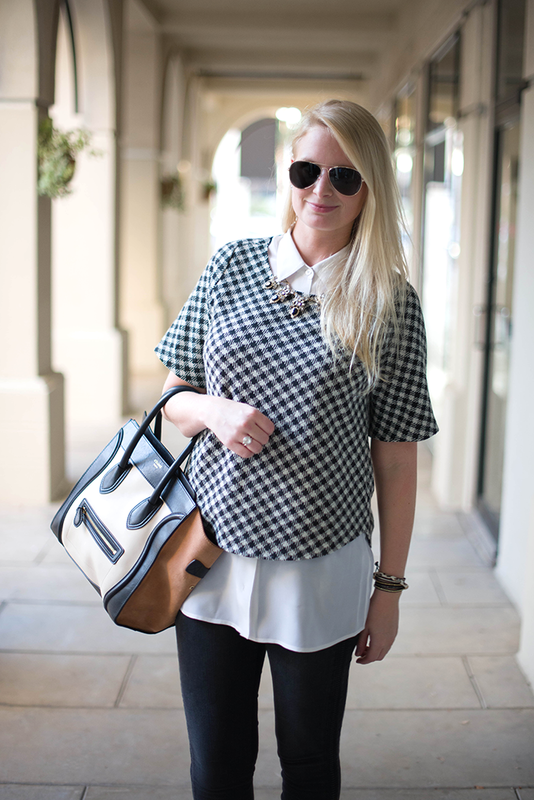 That houndstooth top is amazing!! I love this look! So fabulous! I absolutely ADORE your top! So, so cute. And that bag?! To die for. You look absolutely fab. LOVE your look! 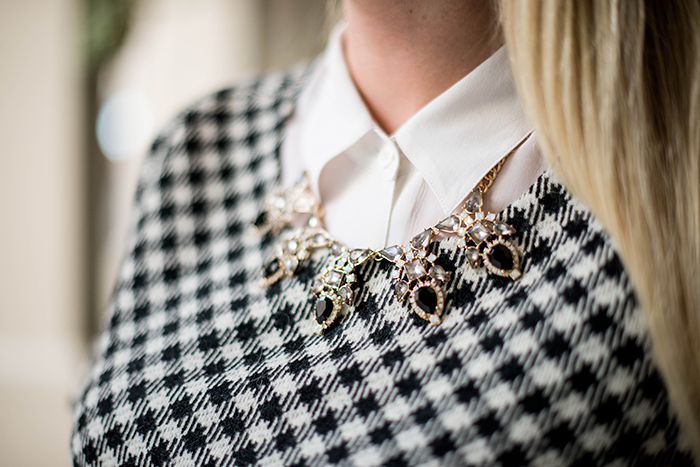 The look of houndstooth with the necklace is so gorgeous!